Just a quick post to say thank you to everyone who has bought, tweeted, shared and generally supported the launch of THE FRENCH RETREAT. It turned out to be a busy day as I also found out that THE HALF TRUTH was earmarked for a free promotion and will continue to be so until the end of the week and I received a very nice 4* review for CLOSING IN. 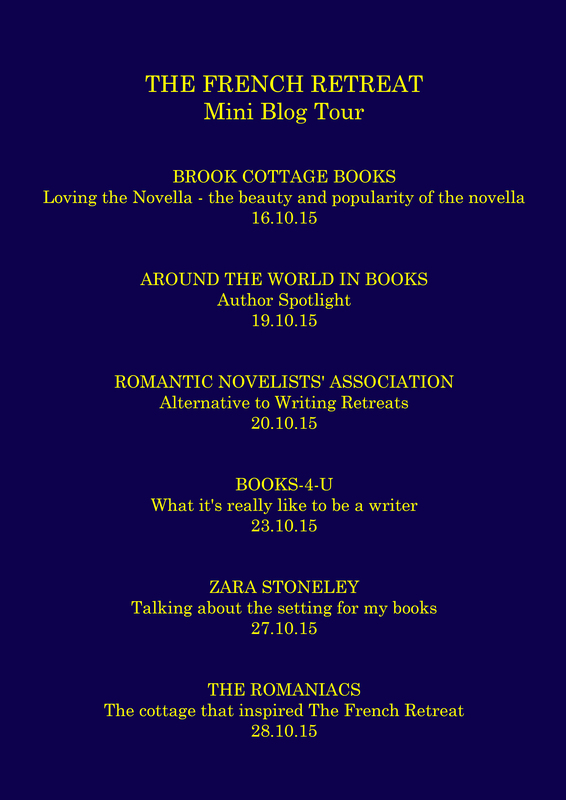 I’m visiting a few blogs over the next couple of weeks – if you get time, do pop along. In the meantime, I’m starting a new writing project and plotting the next book in the Falling for France series. Thank you again, I really do appreciate everyone’s support. This entry was posted in Book launch, General blog and tagged Closing_in, The_French_Retreat, The_Half_Truth on 19/10/2015 by suefortin.